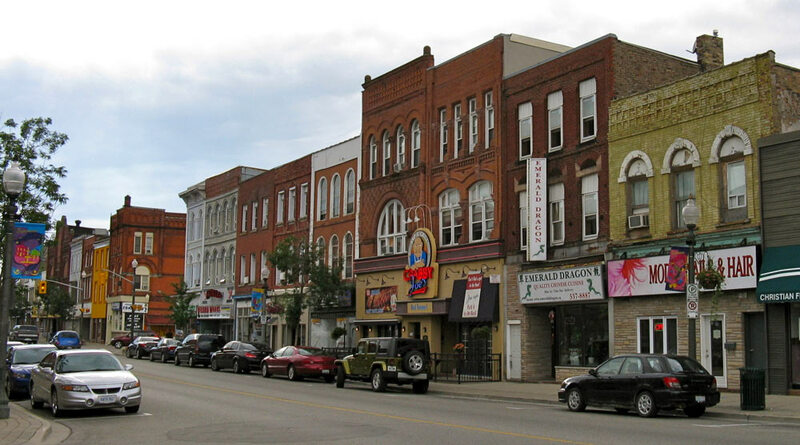 Following in the footsteps of the City of Vancouver, Oxford County became the second local government in Canada to have adopted a 100% renewable energy resolution one year ago. Last night, Oxford County Council adopted a 100% renewable energy plan for its electricity, heating and cooling, and transportation sectors for the entire community by 2050. Situated in Southern Ontario, Oxford is composed of eight municipalities and 111,000 residents across an area of 2,000 square kilometers. Oxford’s plan represents extensive international cooperation, and our organization is proud to have played a supporting role in its development. Of the dozen cities in North America with a 100% renewable energy target, only Vancouver and Oxford County’s targets include all three sectors of energy use. We first became aware of Oxford’s ambitions when elected officials and staff joined us at our first Global Learning Forum in May of 2015. The County, with support from Dr. José Etcheverry of York University and others, had been working on regional green energy and environmental initiatives for a number of years and were interested in taking further steps to bolster local energy production. Following the Forum, Oxford County Council unanimously made the commitment to move to 100% renewable energy by 2050, which set the base for work and implementation planning to begin. With an eye to learning from other jurisdictions, representatives from Oxford County joined us at the Kassel International Dialogue on 100% Renewable Energy, which was co-convened with the World Future Council, deENet, and the German Environment Ministry (UBA). At the event, local governments and experts worked collectively to further develop criteria aimed at helping municipalities plan for 100% renewable energy. 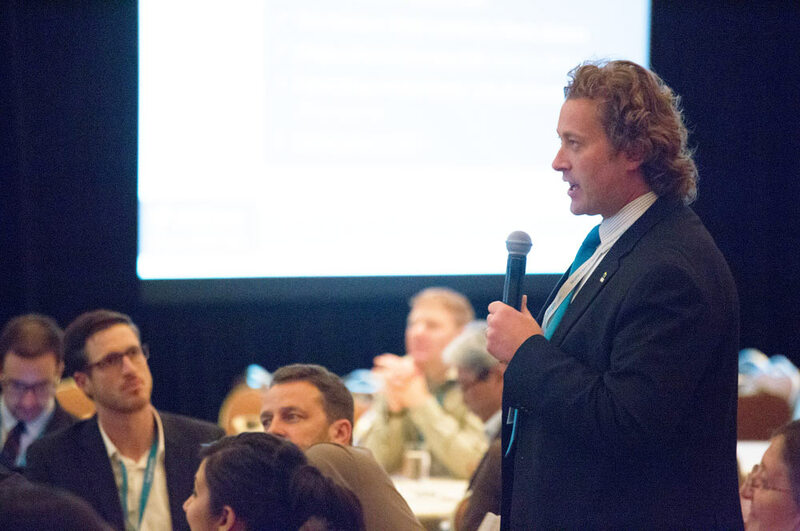 Building on this experience, the County created the Manager of Strategic Initiatives role to oversee the development of its 100% renewable energy plan and applied the criteria to their own local resource and energy context. 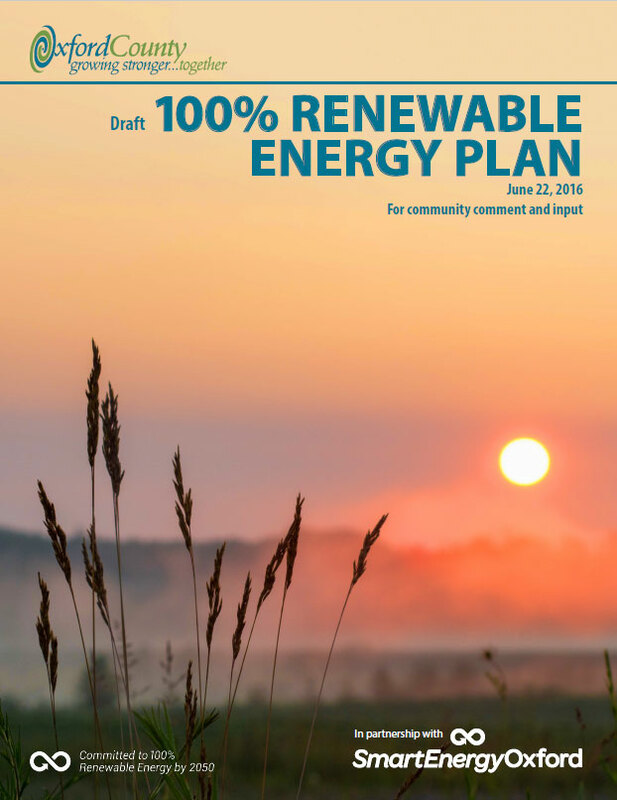 With the adoption of the plan on June 22, Oxford County became the first municipality to create a 100% RE plan based exclusively on the lessons and criteria from the Kassel dialogue and report. Why is Oxford County moving to 100% renewable energy? The region that makes up Oxford County is rich in agricultural resources and is home to significant manufacturing industries. According to their plan, Oxford is moving to renewables in order to create local jobs, avoid energy imports, address climate change, capitalize on long-run cost savings, and reduce health care costs. The Renewable Energy Plan was written as a high level living document, with a focus on conserving resources, then shifting to using more renewables in transportation, buildings, and industry. Given the rapid rate of technological change, it has been written as an open-ended plan that will accommodate the development and implementation of more defined sectoral strategies and policies at later dates. This would include a proposed deep energy retrofit strategy, with pilot projects, and the implementation of the Electric Vehicle Accessibility Plan. Oxford County’s plan is meant to support and integrate with the Province of Ontario’s new Climate Change Action Plan while being flexible in its treatment of each of the county’s eight constituent municipalities given their own unique characteristics and opportunities. Research, knowledge development and testing is a large component of the plan. The county hopes to leverage its manufacturing and advanced agricultural sector to create the Oxford Innovation & Research Cluster in continued partnership with several universities and public agencies. Building on the presence of the local Toyota Canada manufacturing plant, Oxford aims to play host to a hydrogen fuel cell test centre. With a large farming industry, Oxford is already generating electricity from biomethane harvested from beef feedlots. This can eventually be converted into renewable and compressed natural gas. “Solar Oxford Challenge” will incent the development of 2-3 kilowatt solar photovolataic installations on as many rooftops or properties as possible. Deep public education and engagement programs to build support, create a feedback loop for input, and develop opportunities for residents to participate and enjoy the benefits of local renewable energy development.